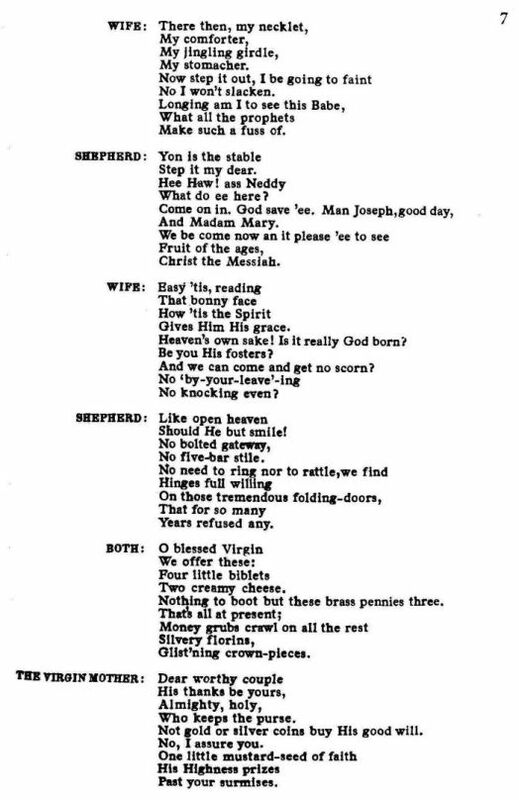 Source: Richard Runciman Terry, Two Hundred Folk Carols (London: Burns Oates & Washbourne Limited, 1933), Carol #70, pp. 6-7. Make such a fuss of. Is it really God born? And we can come and get no scorn? Nothing to boot but these brass pennies three. Not gold or silver coins buy His good will. 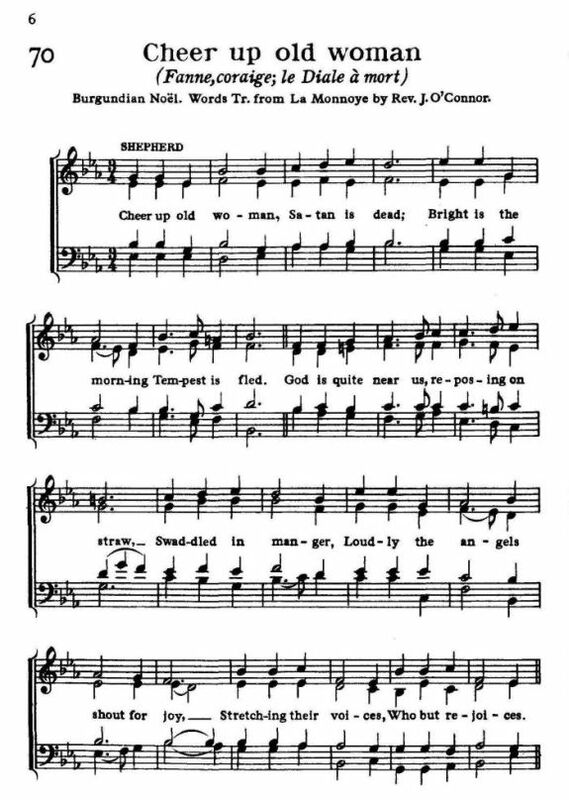 Sheet Music from Richard Runciman Terry, Two Hundred Folk Carols (London: Burns Oates & Washbourne Limited, 1933), Carol #70, pp. 6-7.